"Hide not your talents. They for use were made. What's a sundial in the shade?" Today’s Thursday Thumb print is a simple one to remember, but if you will take the challenge it could change you in so many unimaginable ways! Does that sound too good to be true? Sound like something you would hear from a “Tony Robins Seminar” or maybe on yesterday’s version of “Dr. Phil”? It is really that simple… if you have $15 and 15 minutes you can take this challenge and start down a road that will change you forever! I believe it… I know it has changed my perspective of me as well as those around me …. You can get it at most book stores for $15 .. and maybe less on Amazon or other book sites. Take the code out of the back of the book follow the directions and take the 15 minute test and will have completed “The 15/15 Challenge” … and you would have opened a new perspective on your whole world! It goes back to the quote by Ben Franklin. We all spend so much time trying to fix our weaknesses (which is not a bad thing) that we have no time left to develop our strengths …..
Do you have the opportunity to do what you do best every day? Chances are, you don't. All too often, our natural talents go untapped. From the cradle to the cubicle, we devote more time to fixing our shortcomings than to developing our strengths. To help people uncover their talents, Gallup introduced the first version of its online assessment, StrengthsFinder, in the 2001 management book Now, Discover Your Strengths. The book spent more than five years on the bestseller lists and ignited a global conversation, while StrengthsFinder helped millions to discover their top five talents. In StrengthsFinder 2.0 Gallup unveiled the new and improved version of its popular assessment, language of 34 themes, and much more. While you can read this book in one sitting, you'll use it as a reference for decades. Loaded with hundreds of strategies for applying your strengths, this Wall Street Journal, Business Week, and USA Today bestseller will change the way you look at yourself -- and the world around you -- forever. This challenge will help you find your top 5 strengths. Then you can go back to the book or on the web site and leave more about your strengths and how you function. What kind of people you work well with … those that have similar and opposite strengths and yes it can even help you understand your friends or those that are more than just friends. It will even give you a personal Strengths Insight. So why not TAKE THE 15/15 Challenge and let me hear from you before next Thursday .. Was it accurate, were you surprised? Was it worth the $15 and the 15 minutes? It was during that painful process that I was overwhelmed by His compassion and as He wrapped His loving arms around me. I can remember several times getting out of the shower and falling to my hands and knees weeping like a child and being overwhelmed with His love and compassion. I think that’s why when I hear David Crowder’s “Oh how he loves” that I truly melt into His presence and His love because I know how much that is. God carried me through a very difficult divorce as we had to co-habitate for 2 months while the divorce was being processed as the other married man went back to his wife and my ex was not employed. But God always provided just what I needed at the time and what He provided was not what I was often looking for but was exactly what I needed. For my safety I had to leave the house which we agreed I would keep and the kids until the divorce was final which turned out to be about 30 days. But “Oh how He loves”, I had no place to stay but yet he provided a repossessed studio with no furniture just a mattress on a bare wood floor that a friend brought over. It was a defining time in my life because God saw the need that I couldn’t see, I needed a place where He could spend time with me and talk to me without the distractions of tv, friends, kids, and a raging spouse. I had what I needed and that was Him. During that 30 days I developed such an intimate relationship with Jesus and He revealed so much to me about who He was and who I am in Him. God opened up my mind to Psalms and particularly Psalm 91 and led me to read the book “The Shack” during that time. God really used “The Shack” to show me so much about love, relationships, and a new perspective on our purpose in life. Again, He knows what I need when I don’t have a clue. The last couple of weeks we have been talking about fear. I think if we are all honest at some point in time if not all the time we have a fear of FAILURE! And those of you that have been through a divorce, if you are like me you have had to or you need to deal with that fear that became a reality.. Because I am sure when your marriage fell apart at some point you felt like you had failed.. .as a husband, as a wife or as a parent …. So what about the feat of failure? On a recent FACEBOOK post Phil Cooke stated that that we should not “fear failure, but rather fear regret!”. As we talked about last week … regret NOT stepping out of the boat! I am not sure that I would trust someone who told me that they have lived their life with NO REGRETS! Really? Now I do think that we can minimize our regrets but to totally say we have no regrets?… I believe that there was only one man that could claim that and He was also God! I am sure at times all of us look back and have a case of the: What if’s?” … what if I had gotten out of the boat and applied for that job…what if I had actually gotten off the boat and got involved in that men’s or women’s ministry, what if I had dared to step out to the boast and commit to going on that missions trip when I didn’t know where the money would come from, what if I had ask that lady out that I felt like was way out of my league? What if you had taken the time to get to know those that guy that ask you out instead of turning him down? (no personal experience with either of last two, just saying J ) …. As we discussed in a couple of weeks ago … sometimes I do believe God through the Holy Spirit uses fear to keep up from danger! Not just danger that could harm us physically, but emotional danger, spiritual danger.. fear can be a good thing! We just have to learn to listen and discern the source and voice of the fear! I think that the price of the power of the air will use FEAR many times as a cop out to keep up from going to the next level of commitment to Him … and he will convince you that you will again fail! Just like you failed in your marriage…just like you failed your kids. The list goes on …. What is it for you? …. Just like you failed last time you tried to _______________ (you fill in the blank) As far as minimizing our regrets don’t let the evil one or the storms around you keep you in the boat! If the Lord says to you “Take Courage, it's me. Don't be afraid.. as Peter … say to Him ..”Master, if it's really you; call me to come to you on the water.” And He will say, “Come ahead.” JUMP OUT OF THE BOAT to whatever it is in your life today! …. and don’t fear failure!! … use the fear to move you forward so you don’t look back this time next week, next month or next year with a bad case of the What if’s !! Determine today that you will NOT fear failure but us that feat to live a life of minimal NO regrets! (I still think that is a stretch but it can be our goal! And it will at least help us minimize our regrets! Fear regrets! NOT Failure! Nachos are by far one of my favorite dishes…. Just about any kid of chips with melted cheese, white or yellow caeso, any kid of salsa, black or refried beans, it really doesn’t matter! One of my favorites is a quick sack for a movie. Use the “Scoops” brand white corn chips and a three cheese blend of shredded cheese, lettuce, your favorite taco sauce and tow “secret” ingredients make these nachos unique … A jar of Hormel White Chili with chicken… and a microwave bag of Uncle Ben’s Mexican Seasoned Rice. The order doesn’t matter .. just put it all on the chips .. microwave for a couple of minutes .. add the shredded lettuce and turn on the surround sound and the DVD player and you are set! 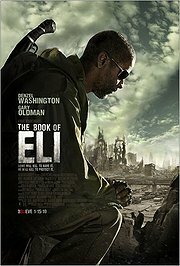 Some Christ followers have been critical of if due to its violence and other questionable areas of the movie … but Ione of the best movie I have watched in a while is “The Book of Eli”… really makes you stop and think how much attention do we give to His written word …. Watch it with some friends and get each other’s perspective of this fictional character who knew no fear! 1) Many people deal with life long fears .. That may be better described as a phobia. How do you determine if you are just afraid of something or have developed a true phobia? The difference between a typical fear and a phobia is an individual’s ability to engage with their subject of their fear. For example…many people are afraid of snakes but still have the ability to think rationally about how to manage an encounter with a snake. The individual who is dealing with a true phobia process the encounter irrationally. A simple definition for irrational thought is when someone thinks with their feelings instead of their mind. This kind of processing in the phobic grows to such a degree that they feel so out of control that they freeze or shut down and will simply not engage their fear. Safety at all cost is their focus. 2) Do you recommend professional help for someone that has a long-standing fear/phobia of say heights, snakes, the dark etc. Absolutely…this is no way to live. Even though someone may be able to eliminate their subject of fear the thought is always lurking in their mind. A lot can be done for the person suffering with phobia. Last Thursday we asked the question …. What are you afraid of? What is your #1 fear as a single adult? So what did you come up with? What FEAR (a storm or some big waves) is keeping you in the boat? 2 Chronicles 20:15 (The Message) "Attention everyone—all of you from out of town, all you from Jerusalem, and you King Jehoshaphat—God's word: Don't be afraid; don't pay any mind to this vandal horde. This is God's war, not yours. Tomorrow you'll go after them; see, they're already on their way up the slopes of Ziz; you'll meet them at the end of the ravine near the wilderness of Jeruel. You won't have to lift a hand in this battle; just stand firm, Judah and Jerusalem, and watch God's saving work for you take shape. Don't be afraid, don't waver. March out boldly tomorrow—God is with you." Bill you said last week that through your divorce you had found a new relationship with Jesus. This week will you please tell us a little more about that transition? Being married it is very easy to shift our focus off of Jesus and onto our spouse. This is even more so being married to someone with BPD. A person with BPD has no knowledge nor do they respect personal boundaries in a close relationship or marriage as their insecurities force them to play the BPD game of manipulation to consume all of your attention to them. I didn’t understand that boundaries are a vital part of any relationship and it is a choice that no one took from me but I chose not to use… out of fear. Fear that she would find someone else, fear of losing the kids, fear of how I would be perceived by others, fear of not being a Godly husband and sacrificing myself for her, and on and on and on. The choice I made was putting her first and God last. My Christian walk became more about perception and just trying to keep the peace at home than any kind of relationship with Jesus. I not only lost myself through the marriage but I lost God. I praise God now that He never lost sight of me. It was the summer of 2008 when God really started to work on me and I truly tried to understand my ex-wife’s disorder and love her but also love myself and place the boundaries that I needed despite my fears. Later in the fall of 2008 one of my fears became reality as she made a choice to seek someone else for what she saw as love. Even though it was the worst pain and sadness that I’ve ever experienced it was also the beginning of the greatest adventure toward an intimate relationship and trust in Jesus. Surround yourself with living things ….. I grew up liking to plant flowers, my Dad to this day can’t figure that one out? Two boys and two girls in our family and the two boys liked to plant and grow things more than the girls. Yea I know what you are thinking !! … I guess that was me getting in touch with my “feminine side” … (whatever that is supposed to mean ?!) maybe it was just playing in the dirt? But I do think it is in my genes, my mother can make just about anything grow. She has a boxwood plant that she started over 10 years ago from a sprig of some boxwood’s that she took home with her from some bushes that we had thinned out in front of our house. But I always liked to plant a garden. Especially when my daughter was little… to go out every day and see the progress.. taking care of the plants… making sure they had enough fertilizer and water, trying to keep the deer out, etc. One year I got really brave and planted some pumpkins and watermelons. We only got one watermelon, and one BIG pumpkin. We cut it out and used on our porch for Halloween. But now that I am divorced I live in a two bedroom apartment. So no real place to have a garden. BUT I decided that I was going to plant some flowers on my deck in containers and even a Hibiscus tree, and a beautiful red Bromeliad. But that wasn’t enough! Tim the Tool Man in me wanted MORE!!! So I was @ Home Depot one day and noticed that they had some 3-4 foot, $90 evergreen trees on sale for $5! .. So I bought 2. Now I have a nice evergreen on my deck and when Christmas rolls around I will bring it inside and decorate it for my Christmas tree. I have already bought some spring perennial bulbs to plant now so they come up in the spring. I also have a yellow Bromeliad in side as well as two Orchids (something that my mom hasn’t mastered.. well not yet anyway) and several other tropical plants. And next weekend the red petunias will hit the trash to be replaced by some fall mums …. So if even if you don’t have a green thumb..my advice (Tuesday Tip) is to make sure as a single adult you find a way to have lots of plants around you to take care of … It is not all the work of a big garden but it is a bit of a de-stressor for me to keep up with my few little plants and besides the guy across the street has a huge garden that I have enjoyed watching grow all summer… without all the work!